June 1, 2016 ~ NickyB. Over the weekend hubby was cleaning out a storage closet when he came across these flashcards. He immediately called my name and handed them to me with a smile. A flood of memories came to mind as I looked at these old, tattered cards. I remember when I bought these flashcards for you MJ. You were only 2 years old. I remember you completely ignoring me for weeks when I wanted you to sit down and pay attention while I reviewed the cards. I remember you throwing all of the cards at me and all over the room…Several Times. I remember the smile that you had on your face as you threw them. 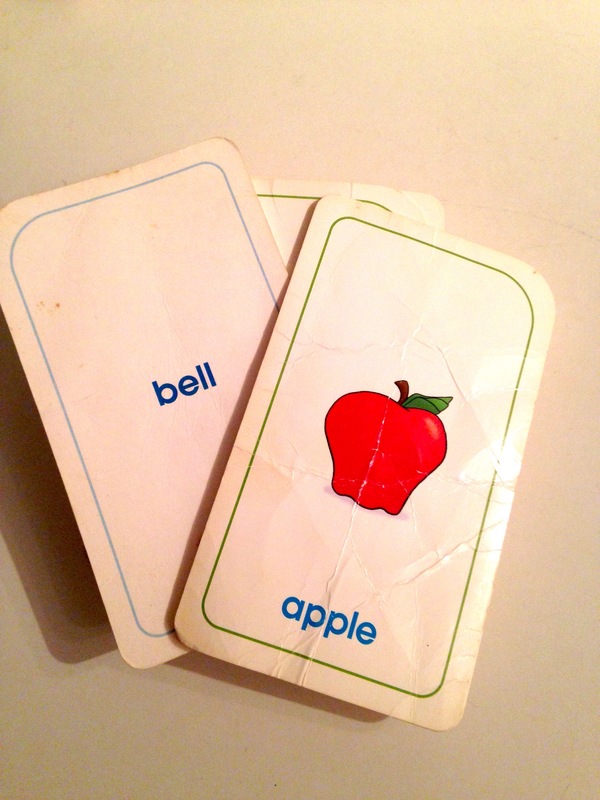 I remember making up songs to sing with each flashcard. I remember months later when you began to look at me and the cards. I remember when you finally came over to me and began to repeat the words. I remember when you began to say/read the words ( in your own way) without looking at the pictures. I remember feeling lonely and confused. I remember realizing that you could and would learn at your own pace. I will never throw away these flash cards because they serve as a reminder of where you were, how hard you’ve worked, and how far you’ve come. Love seeing Jesus in you, sweet sister in Christ!! What a precious family you are! May He bless you all in a unique way this week. I’m so glad you can understand my feelings about it. Love how you said your child could and would learn at his own pace. I 100% believe this for all kids. We need to just keep on believing in them. Yes we do. Kids learn differently. That was truly beautiful. Thanks for sharing. Thanks too for following me. You too have gained a new follower. ☺🙌👍👏 OK this is awesome. Glad that those cards made your day better. So glad your son has come a long way. Yes we all learn differently and at a different pace. Isn’t it remarkable. God is good. It’s so great when you see something you haven’t seen in years. Love the memories. Autism is so big to me and the story is on point!